Excelsior Editions/State University of New Yo, 9781438445250, 400pp. 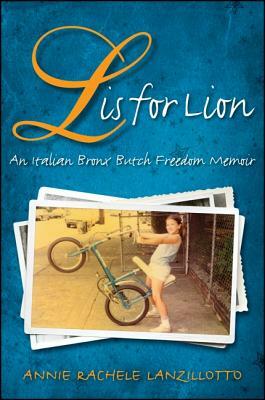 This vivid memoir speaks the intense truth of a Bronx tomboy whose 1960s girlhood was marked by her father's lullabies laced with his dissociative memories of combat in World War II. At four years old, Annie Rachele Lanzillotto bounced her Spaldeen on the stoop and watched the boys play stickball in the street; inside, she hid silver teaspoons behind the heat pipes to tap calls for help while her father beat her mother. At eighteen, on the edge of ambitious freedom, her studies at Brown University were halted by the growth of a massive tumor inside her chest. Thus began a wild, truth-seeking journey for survival, fueled by the lessons of lasagna vows, and Spaldeen ascensions. From the stoops of the Bronx to cross-dressing on the streets of Egypt, from the cancer ward at Memorial Sloan-Kettering to New York City's gay club scene of the '80s, this poignant and authentic story takes us from underneath the dining room table to the stoop, the sidewalk, the street, and, ultimately, out into the wide world of immigration, gay subculture, cancer treatment, mental illness, gender dynamics, drug addiction, domestic violence, and a vast array of Italian American characters. With a quintessential New Yorker as narrator and guide, this journey crescendos in a reluctant return home to the timeless wisdom of a peasant, immigrant grandmother, Rosa Marsico Petruzzelli, who shows us the sweetest essence of soul.